We first heard about The Colonists last summer, but things have been strangely quiet since then. The silence was broken with a smash earlier this week with a new trailer showing off some in-game action. Take a look below the jump. I was sold on this game last year when I saw the cute robots scurrying around. Inspired by Anno and The Settlers, you control these self-replicating robots who are searching for a new home as they dream of becoming human. As you expand your colony through road, rail and sea transportation, you will cross through three Ages. Do the robots change colour as the Ages change? I don’t know, but I want to find out! 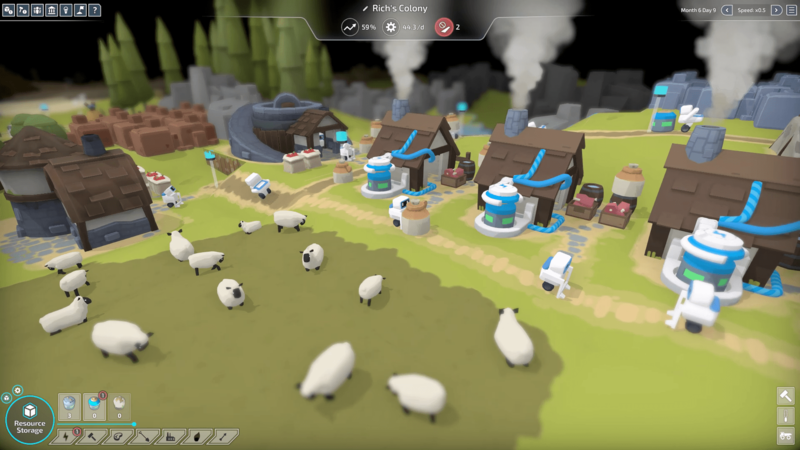 There are also sheep in the game, which, as a proud Welshman, I am thrilled to see! Whether they will help me take a peaceful approach to expanding my settlement, or help me in war against the AI, we will have to wait and see. You can wishlist the game on Steam, right now!